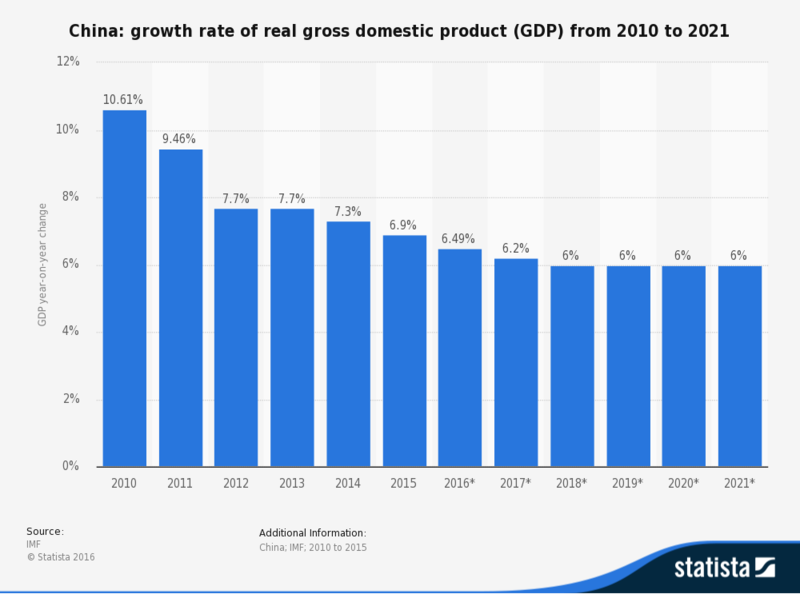 Scooper - Technology News: Growth in China: what next? At a time when the United States is poised to turn inward, China’s economic performance is more important globally than ever. Whether China can achieve sustainable growth patterns in the coming years will depend upon a number of key factors. One of the leading external factors shaping China’s prospects will be its relationship with the US under President Donald Trump. Ideally, the two governments would work together to negotiate mutually beneficial trade and investment agreements, with sensitivity to the challenges faced by both sides. But the opposite outcome – the escalation of mutually damaging trade and investment disputes – is also a distinct possibility. Political uncertainty is also on the rise in Europe. While its impact on China would not be as direct as Trump’s actions, it is a source of significant medium-term risks for the entire global economy. Within Asia, a key factor shaping China’s economic prospects is progress on Chinese-led regional trade and investment agreements. In particular, investments in regional development via the “one belt, one road” initiative and the Asian Infrastructure Investment Bank may produce expanded trade and growth in Asia (and beyond), though the effects will not be immediate. The fourth major external factor relates to exchange rates. As it stands, the renminbi is facing significant depreciation pressure, caused largely by a surge in capital outflows. Meanwhile, the US dollar is strengthening in anticipation of Trump’s fiscal expansion. China’s performance will depend partly on how these dynamics play out. But, beyond the external uncertainties and headwinds, China faces a slew of internal challenges, which may well present even greater risks to its economy. Those challenges – including weaknesses in the real economy and the private sector, overcapacity, excessive leverage, and high housing prices – are rooted largely in the financial sector’s mounting problems and the failure of China’s leaders to address them. Consider efforts to promote investment in the real sector. The People’s Bank of China has been providing spurts of liquidity to the market, in the hope of relieving financial constraints on productive private businesses and industries. But the monetary-policy transmission mechanism is broken, and liquidity is not making it to the real economy. Instead, China’s banks continue to allocate credit largely to state-owned enterprises (SOEs) and local-government financing vehicles (LGFVs). Credit to the state sector ends up flowing not into productivity-enhancing investments, but into the housing market (fueling price bubbles) and industries with excess capacity (fueling even more overcapacity and enabling companies to avoid much-needed restructuring). While LGFVs use the low-cost loans to build infrastructure, the social returns of those investments are often low; and, after decades of rapid infrastructure construction, the marginal returns are declining. Meanwhile, local governments’ leverage continues to rise. SOEs may also use the unregulated shadow banking system to re-lend at higher interest rates the cheap money they receive to private businesses, which cannot borrow reliably from the formal banking system. Whereas the interest rate of a one-year loan in the formal banking system is around 5%, the average one-year interest rate in the Wenzhou shadow banking market (to cite one example) was around 16% in November. This state of affairs is jeopardizing the entire economy. Banks are bailing out bankrupt companies, while private firms – especially small and medium-size enterprises – continue to get squeezed. Given that the private sector is generally significantly more productive than SOEs or LGFVs, generating much higher returns on investment, the absence of hard budget constraints on troubled SOEs clearly must be addressed. Of course, China’s leaders have known this for a while, and have created a reform agenda that seeks to reform the SOEs, while unleashing the private sector’s potential. But it is still a work in progress. Convincing banks to lend to private enterprises, rather than to SOEs and LGFVs, will require substantial structural shifts in China’s economy. For financial institutions, SOEs and LGFVs represent much lower risk than private businesses, regardless of how leveraged or uncompetitive they are. After all, because SOEs and LGFVs are implicitly guaranteed by central or local governments, they are highly unlikely to default. Banks know (or believe) that if an SOE or LGFV faces bankruptcy, the government will step in with favorable policies and subsidies, tax cuts, and low-cost financing instruments. In some cases, banks have no choice but to lend to failing SOEs; their provincial government may demand that they provide large low-cost loans to a struggling and unproductive firm, particularly if it contributes significantly to local fiscal revenue and employment. Given that private firms enjoy no such official protections and thus play on a field that is nowhere near level, they must be substantially more productive and competitive than the SOEs. And even then, if the SOEs with which they are competing struggle too much, they are vulnerable to policy shifts that increase their disadvantage further. Simply put, the Chinese financial sector’s bias in favor of SOEs is contributing to some of the biggest risks faced by China’s economy. Investors’ recognition of these risks may be one driver of capital outflows, meaning that distortionary incentives in the financial system are also contributing to the downward pressure on the exchange rate. China has made great strides in recent years in implementing reforms that boost domestic private consumption. And, despite the barriers it faces, the country’s private sector has become highly dynamic and innovative. Earlier reforms are now bearing fruit, and this has helped to sustain economic growth. But achieving faster, more resilient growth will require China to eliminate the biases, protections, and implicit guarantees favoring SOEs in the marketplace and in the financial system. Only then can monetary policy achieve its goal: supporting productive investment, innovation, the scaling of private-sector businesses, and real economic growth.